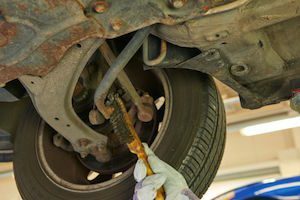 Removing a rusted, corroded, or locked suspension bolt is often a lengthy, difficult and frustrating task, especially if using a ratchet wrench. 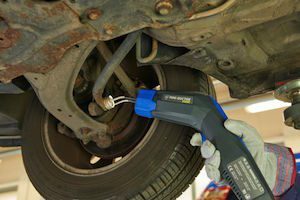 It usually requires the application of penetrating fluid, or blasting the area with a torch – this is time consuming, can cause unwanted damage and it’s a potential risk to your safety. However, help is at hand. The Mini-Ductor® Venom™ handheld induction heating tool heats metal parts in seconds using invisible, flameless heat. This allows all types of adhesives bonded to metal, fasteners bonded with thread lock compound, and seized hardware to be removed and released much quicker and safer than by traditional naked flame heating. Using a torch leads to heat being blown away from the load, wasting its energy and transferring its heat to unwanted areas. With the Mini-Ductor® Venom™ nearly all the energy pulled is applied to the load, using invisible heat, making the tool faster and more energy efficient. 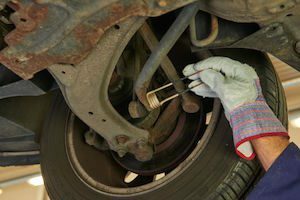 Mechanics do not need to run the risk of using a torch which could damage the rubber ball joint, or the surrounding area. 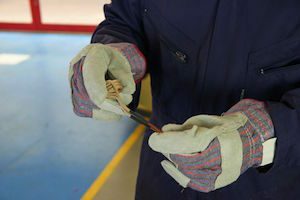 The new tool improves workshop health & safety, saves time and reduces costs by being more efficient at removing rusted, corroded parts than by using a naked flame or other methods. And because the surrounding area is not damaged, the repair time is significantly reduced. Apart from the increased safety benefits, it is estimated the use of the Venom™ can increase a garage’s part removal and repair productivity by over 50%. Coils come in different diameters to suit different nut sizes. Coils lock down with one simple turn (no more thumb screws). Step 6: Use a selected tool to unscrew the nut. For the month of February 2017 all orders for the Mini-Ductor® Venom™ will receive a free coil kit worth £125 + VAT.